Travel to Gimhae Airport and Busan can be done by driving off Geoje Island on the new bridge to Busan. Driving time now that the new bridge is open from Okpo to the airport is around 1 hour and to the center of Busan is around 1.5 hours. Cab fare between Okpo and Gimhae Airport will cost KRW120,000 or more, you may be able to negotiate a slightly better price. If you are traveling by air from an international destination to Geoje Island you will likely be traveling through Gimhae Airport (Busan) or Incheon International Airport (Seoul). Seoul's other airport, Gimpo, is predominantly a domestic-service airport. 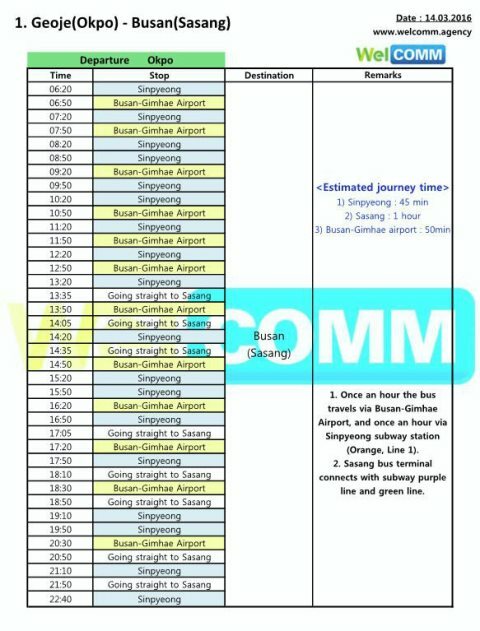 Most, but not all, domestic flights to Seoul are to Gimpo Airport. Frequently international connections in Seoul will involve switching between the two airports via a short shuttle bus ride. 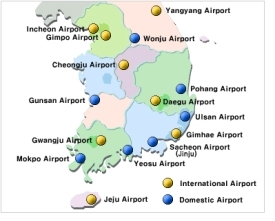 The closest airport to Geoje Island is Sacheon Airport (domestic only) at Jinju. 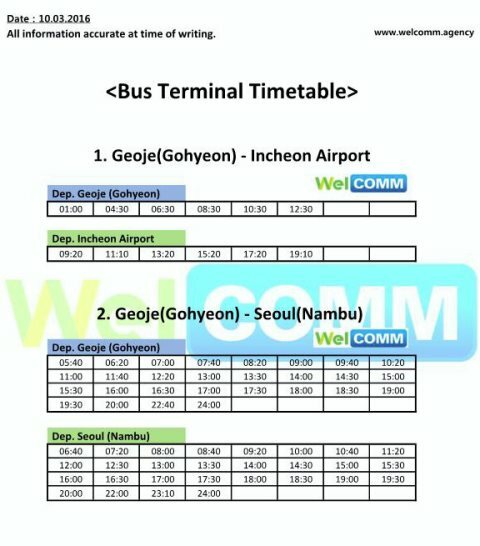 Gimhae Airport in Busan is the next closest airport to Geoje. Car ferry service is available to Western Busan (Angol, near Gimhae airport) from Nongso and Goo Young (cities on the North side of Geoje Island). 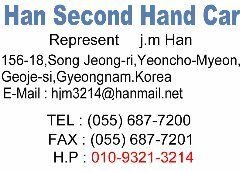 Driving time to the ferry docks at Nongso or Goo Young is 30 minutes from Okpo. 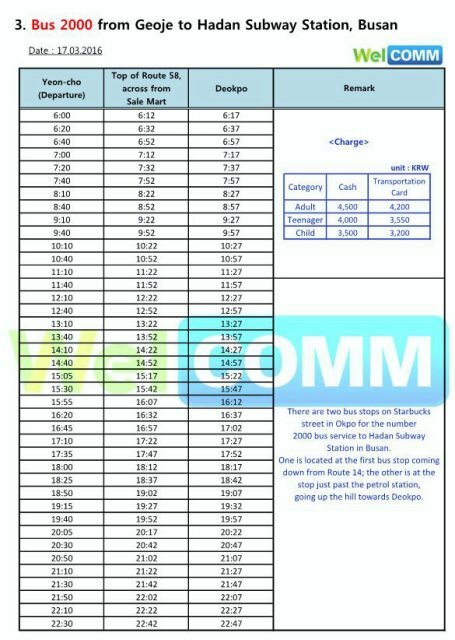 Ferry transit time to Busan (Angol) is 40 minutes. The car ferry routes hug the coast, consequently these ferry's sailing are generally not canceled due to poor weather conditions. There are two larger hotels in Okpo that frequently accommodate foreigners visiting the DSME shipyard. Located harbor side in the middle of downtown, about 100 yards from the ferry terminal (the pedestrian ferry to Pusan). This is the DSME-owned hotel. Located uphill a few blocks from the center of downtown Okpo. It is surrounded by many of the DSME owned apartment buildings. The International School and the GFRA "clubhouse" are each about 100 yards away from the Admiral Hotel. SHI (Samsung Heavy Industries) has recently opened a luxury hotel in Gohyeon, near the SHI shipyard.